Hi guys! 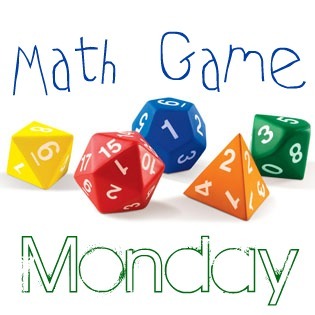 It's a super quick post today for Math Game Monday. This is my first 'official' day back at school! Muggins is a great game, lots of fun, and can be played a few different ways. I use if for order of operations and integers. My school has numerous sets which allows each 7th grade math teacher to have 6 - 8 games going at the same time! We do a tournament between class periods and then between the 3 academic teams. 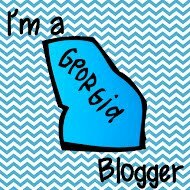 All of my students have loved this game so it's worth checking out! "Muggins math board games and manipulatives are not only educational but make learning FUN! Built the old fashioned way with wooden boards and marbles, the games are great for family game night as well as for the classroom and after school programs. Individuals, families, students, classrooms, teachers, whole schools. Ages 4 to Nuclear Physicist. Those who love math or those who hate math. Those who are math challenged and those who are number geniuses. Our math games are guaranteed to challenge, build thinking skills, and increase self-confidence. Addition, subtraction, multiplication, and division have never been so much fun!" I'll have to look at the rules for this game and see if fifth graders could follow it. 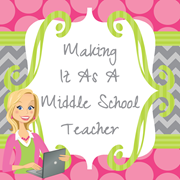 I'm also adding your blog to my list of middle school resources. Keep up the great work. This is a game I'd like to try with my class. A couple of teachers and I are constantly looking for fun new ways to keep the students engaged and wanting to learn. We actually tried a couple of different games with English vocabulary and Social Studies using Lottery Wheels. The kids had a BLAST and it was really beneficial with helping them learn. We got some of the highest test scores we'd seen all year! I will definitely suggest Muggins for the next game day period we have- thanks for the story!